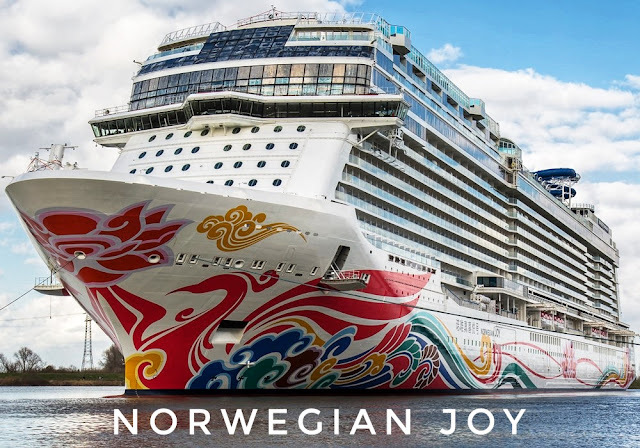 Home » race » Norwegian joy race track – One of the most expensive race tracks in the World and that too on a cruise ship. Norwegian joy race track – One of the most expensive race tracks in the World and that too on a cruise ship. We are going to tell you about a unique cruise ship, which is part of the Norwegian cruise line ships. The name of this unique ship is the Norwegian joy. This is unique as it will have go-kart racing track. It will look like a small racing track, a two-level cart track will be prepared on it, in which total seven to eight turns are expected. According to its model, it will look like a small racing circuit. In addition, a sloped track will be built instead of flat road to increase the thrill of race. The Norwegian Joy is about 1 lakh 68 thousand tons weight 20 deck liner. The Norwegian joy can take 4,200 passenger and 1,700 crew members together at one go. It is expected that by the summer of 2017, it will be fully prepared. Talking of dimensions the Norwegian joy Cruise Ship's diamond, it is 1,069 feet long. In other words, it is only 23 feet short by a Nimitz class aircraft carrier. 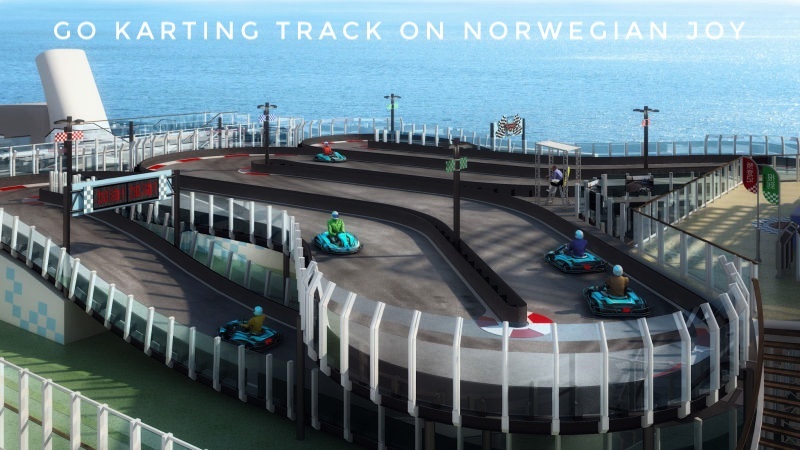 Along with go-karting the Norwegian joy will also have bumper cars, 360-foot water slides, simulators, two casinos and luxury retail outlets. Private rooms and private casinos will also be prepared for wealthy people in the Norwegian joy. There will be 74 private luxury rooms. They will also have arrangements for private lounges, pools, dining areas and private casinos. The first trip is not yet shared much about, but it is still being speculated that after being ready, it will be the first to travel to Shanghai from China to Beijing. So, if you are fond of racing and want to watch racing on a special kind of world's most expensive race track then be ready. Norwegian joy Cruise Ship can turn your dream into reality. Hope you liked this cruise ship. You can also tell us about it in comments.